When I was in school, many of my friends made visits to Mont-Tremblant for ski trips. I didn’t have a chance to try skiing or until quite a number of years later after university. Still struggling to figure it out. I still haven’t tried snowboarding but I did surprisingly have a number of opportunities to sandboard! It was during my travels in Chile when I had my first opportunity to sandboard. I hadn’t tried snowboarding yet but the fact that sandboarding was significantly less expensive was already enticing! What made it even more enticing was the fact that it seemed relatively straight forward and didn’t require as many pieces of equipment as snowboarding. 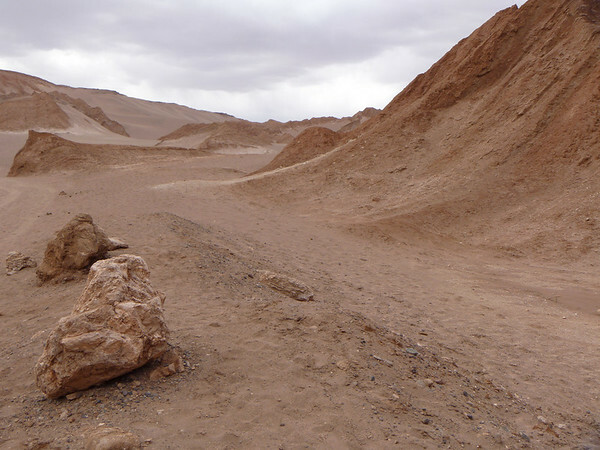 Passing through San Pedro de Atacama on the way to Bolivia, I had the opportunity to stay for a day or so in the town. One of the major activities in the area is sandboarding so a group of my fellow travellers and I took a brief truck ride into Valle de la Muerte (Death Valley) to join in on the fun. While many folks might point out that sandboarding is very similar to snowboarding, I’d say that it is actually a bit more challenging for those who sandboard. 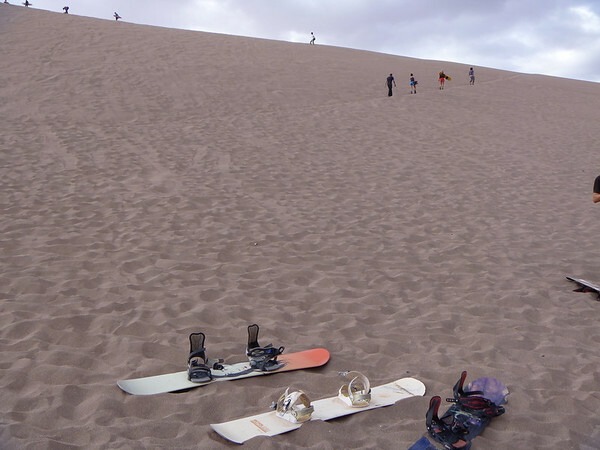 You have to hike up the giant sand dune with your sandboard as opposed to an enjoying a ride on a ski lift up a mountain. Those who have hiked in sand will recognize the extra effort involved. Nonetheless it was totally worth it, even if all my pockets were full of sand afterwards! 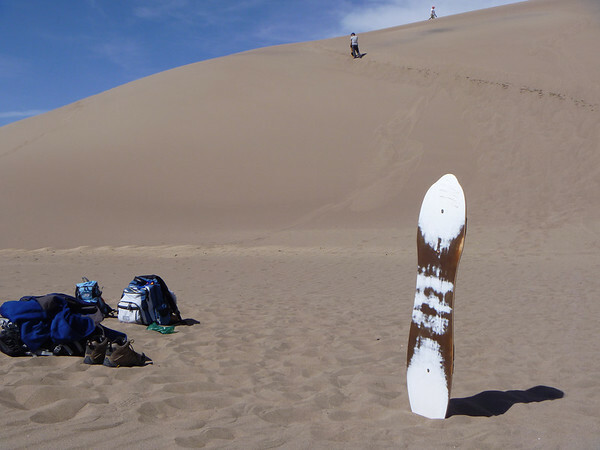 I also had the opportunity to sandboard while travelling in the United States. In Colorado, there are the amazing Great Sand Dunes. It is — simply put — a stunning natural environment to be in with such a diversity in the area. Sand dunes, forest, marsh, mountains. There is a great opportunity to hike (bring lots of water! ), or alternatively, you can rent some sandboards nearby and have some fun on the dunes! 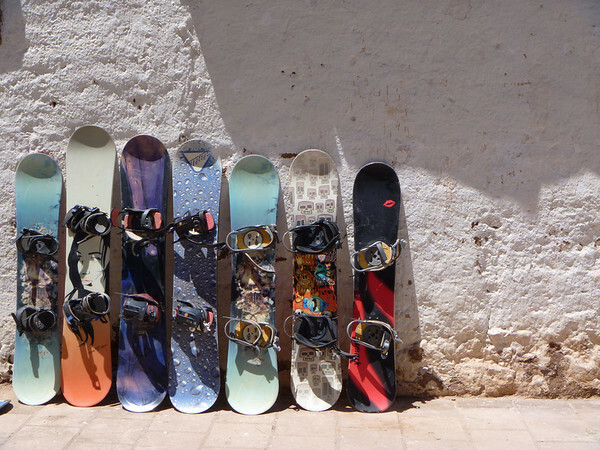 These are not just snowboards, they are actually designed for sand dunes so be prepared to remove your shoes and either use the sandboards with bare feet or with socks. Of course, once again in Colorado, my friends and I were hiking up the sand dunes which was tiring after a number of times. During the summer, I’d recommend heading out into the dunes early in the morning. It isn’t hot yet and by the time you’ve made quite a few runs (at least 20) down the dunes, you’ll probably be tired out and ready to kickback in the shade. The sand itself can get pretty hot by late morning to noon depending on the time of year. Just like snowboarding, be ready to fall lots of times. 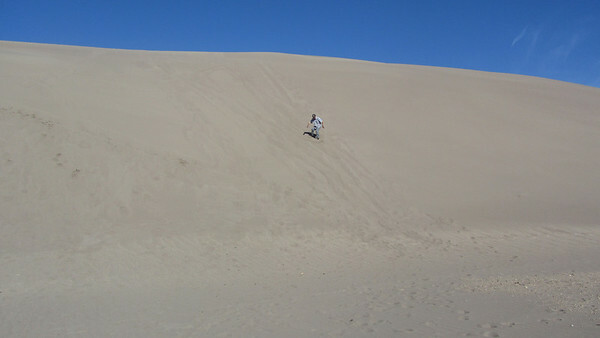 I can’t even count the number of times I fell or rolled down the side of the dune. Other times, my sandboard was lacking wax so it’d slow down to a grind half way down the slope which made for some amusing times. I’d love to go sandboarding again but just wish there were some places closer to Toronto. I’ve heard about larger sand dunes in Sand Hill Park and will have to check it out sometime.